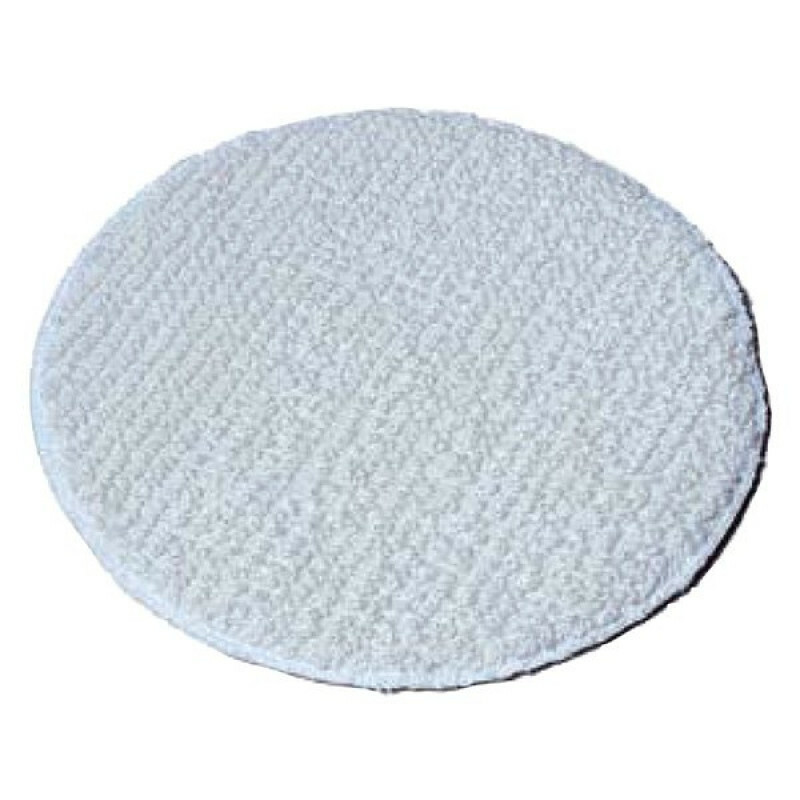 This is one of our floor & carpet bonnets that can be repeatedly washed after each and every use to maintain its cleanliness. Each bonnet will collect dirt in its polyester-rayon blend loops. To clean, simply had wash, rinse, and then hang dry. These bonnets are recommended by floor care professionals for carpet cleaning of low nap carpets, and buffing hardwood floors. The trick for cleaning those wood floors is to use a minimum amount of water, as to not over saturate the wood. This bonnet is the perfect fit for the Oreck Orbiter and the 13 inch floor buffer that we sell. We also have a 13" carpet scrub bonnet w/ agitation strips available for those really heavily soiled carpets and those thick plush carpets. Customers who were interested in the Wood Floor Buffing Bonnet - For 13" Buffers were also interested in the following items. Cleaned well after I prepped the floor with a 3m preparation pad. This is a review for the Wood Floor Buffing Bonnet - For 13" Buffers.